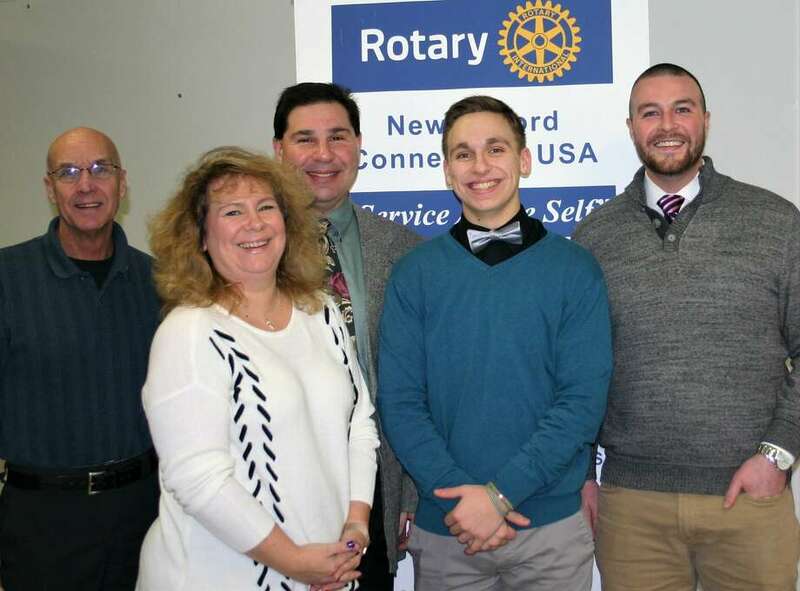 The Rotary Club of New Milford recently presented the January Student of the Month Award to New Milford High School senior Timothy Cianciulo. Timothy received high and highest honors throughout high school and received the Business Award his freshman year. He played NMHS Varsity baseball for four years and has been captain of the team and participated in two years of indoor track. He coaches youth baseball and participates in volunteer activities through the National and Math Honor Societies and volunteers at the Bridgewater Country Fair. Timothy will attend UMass Boston, majoring is healthy sciences and sports management with a goal of becoming a physician’s assistant. He is shown above with, from left to right, Rotarian Tom McSherry, Timothy’s parents, Kim and David Cianciulo, and NMHS teacher Rick Casagrande.